Aron Baynes averaged 6 points and 5.4 rebounds per game last season. He only played 18.3 minutes per game, despite making 67 starts. He is technically a free agent this offseason. And yet, the Celtics seem locked in on re-signing him, despite spending a first round pick on rim-running big Robert Williams. Baynes even represented the team during Monday night’s NBA Awards Show. It’s a surprising level of commitment to a center who has averaged only 5.4 PPG and 4.4 RPG over the course of his career. However, it makes perfect sense. Believe it or not, the Celtics actually, sort of, need Baynes. 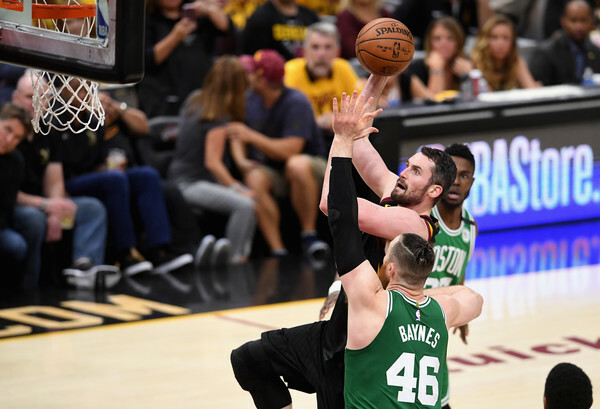 Even after adding Williams to the mix, finding a way to retain Baynes is crucial for the Celtics’ frontcourt depth. Williams is plenty talented, but questions surrounding his attitude off the court played a major part in his slide to the Celtics at pick 27. His disappearing act the following day didn’t do much to assuage those concerns. Even if Williams is a model citizen, Boston would still likely be reticent to lean on him from the jump. Rookies, especially bigs, often have a steep NBA learning curve. It’s tougher to make an impact offensively when you have to depend on others to get the ball, and your mistakes are more glaring on the other end when you serve as the last line of defense at the rim. Williams may mature into a Clint Capela or DeAndre Jordan caliber center eventually, but he won’t be there in October. Daniel Theis showed flashes of promise as a 25-year-old rookie from Europe last year. Unfortunately, he tore his meniscus in March. 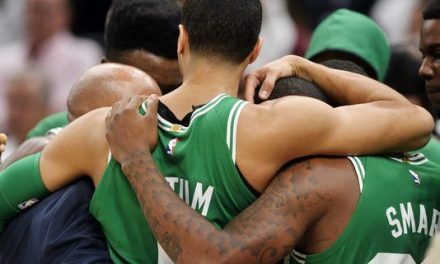 The Celtics expect him to be ready to go for training camp, but there’s no guarantee he’ll hit the ground running right away. Of course, Al Horford figures to start his fair share of games at center this season with the return of Gordon Hayward. 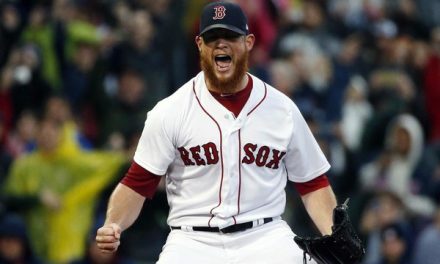 However, if Boston wants him fresh for the spring, they’re going to have to pair him with another reliable big. That’s where Baynes comes in. In addition to being extraordinarily reliable (he’s played 81, 75, and 81 games over the last 3 seasons), he’s, well, big. Theis is listed at 6-9, and Horford and Williams at 6-10. Baynes, while also listed at 6-10, is a full 15-20 pounds heavier than his fellow Celtic big men. 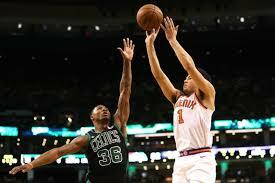 He provides a different look and skill set, and some extra beef to stick at the rim when Boston plays larger lineups. Then there’s the matter of what happened in the postseason this spring. Baynes, who was 3-of-21 from behind the arc in the regular season, was 11-of-23 (47.8%) from three in the playoffs. At the risk of putting too much into a small sample size, this could be a substantial development. If Baynes’ new shooting touch is the real deal (and not coach Brad Stevens pulling a rabbit out of a hat) it paves the way for Boston to run 5-out line-ups nearly 100% of the time. 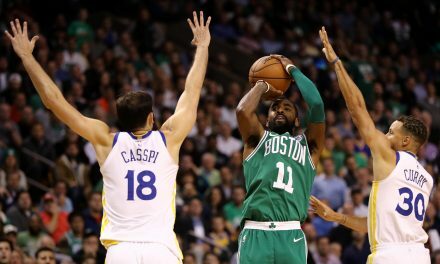 In a league where shooting is king, that would only raise the Celtics’ ceiling. Other factors may come into play here. Marcus Smart may sign a max offer sheet, and the Celtics could match. Such a move may put Boston in luxury tax territory earlier than it’d like. Another team might offer Baynes a contract worth more than the C’s are willing to pay. Boston would have to opt for a more cost-effective option in that scenario. 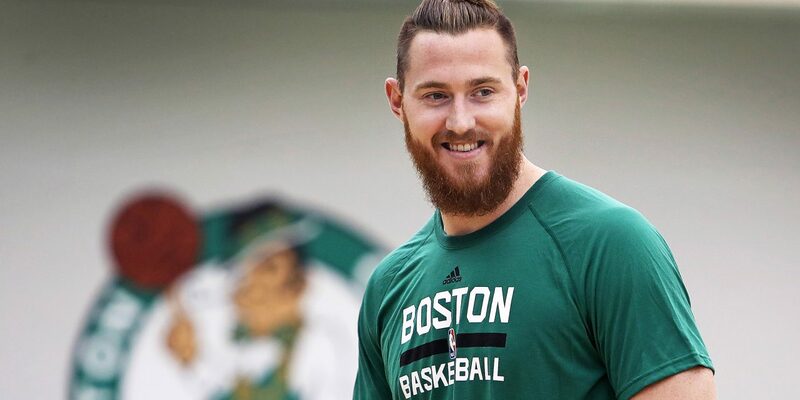 Ultimately, Baynes is a perfect fit, and the Celtics would be foolish to move on from him too quickly. He’s a role player to be sure, but he serves a role no one else on the roster currently does. For a team with championship aspirations, the more players who fit that description, the better.